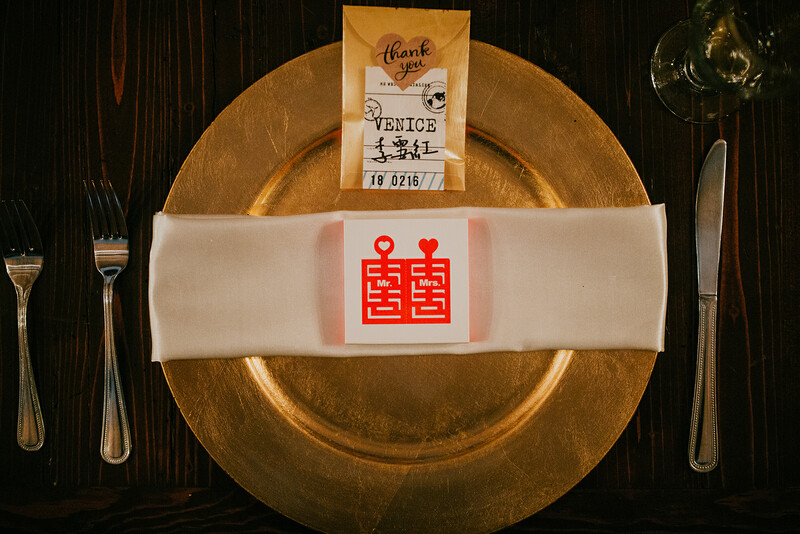 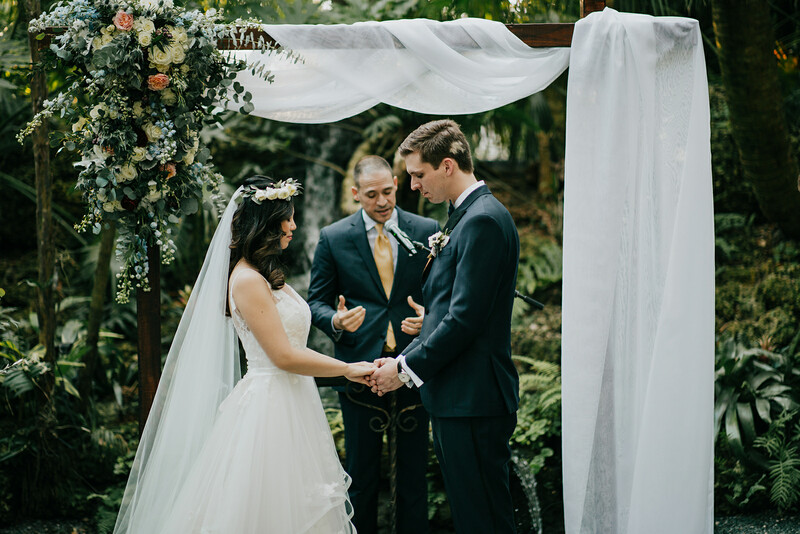 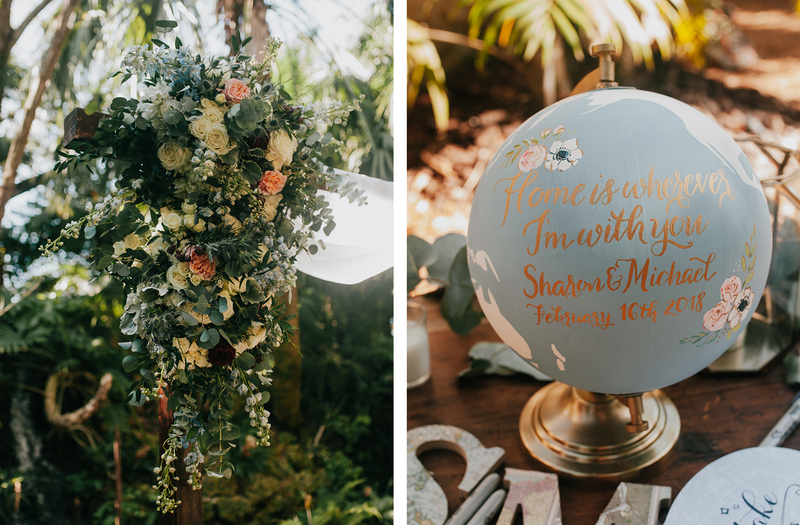 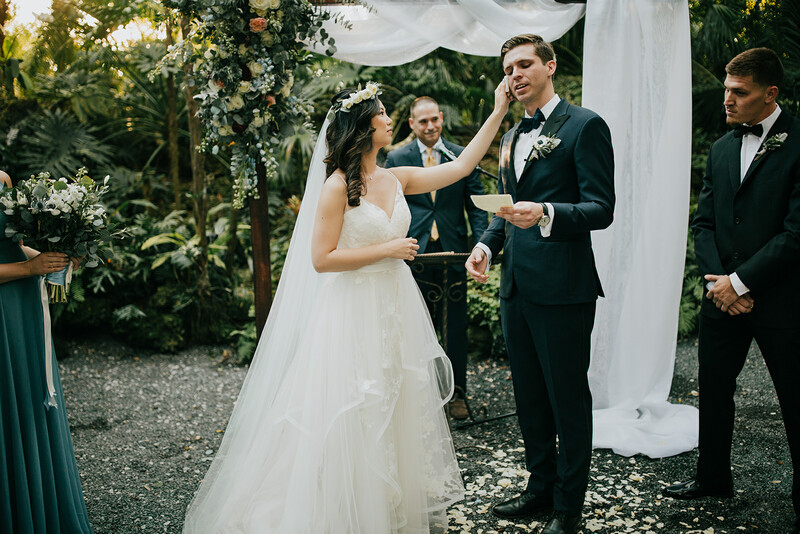 Sharon and Michael’s vintage travel themed wedding is full of luscious greenery, hanging lights, plane tickets and family from across the globe! 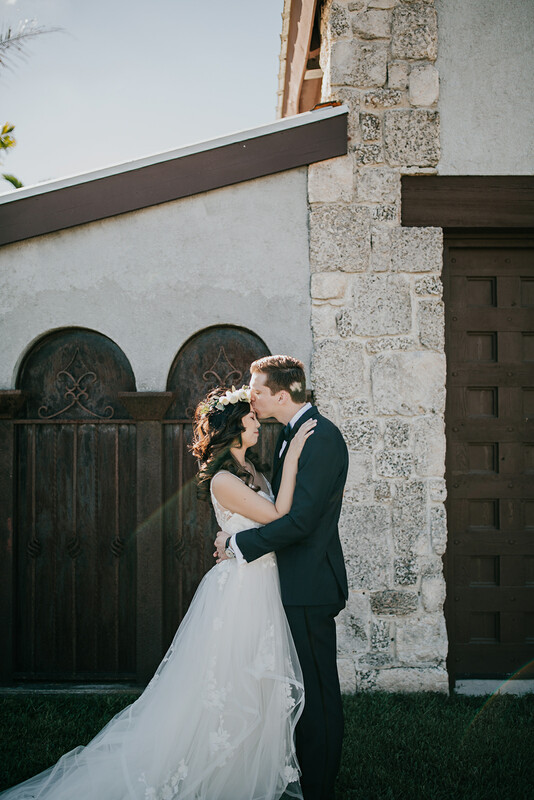 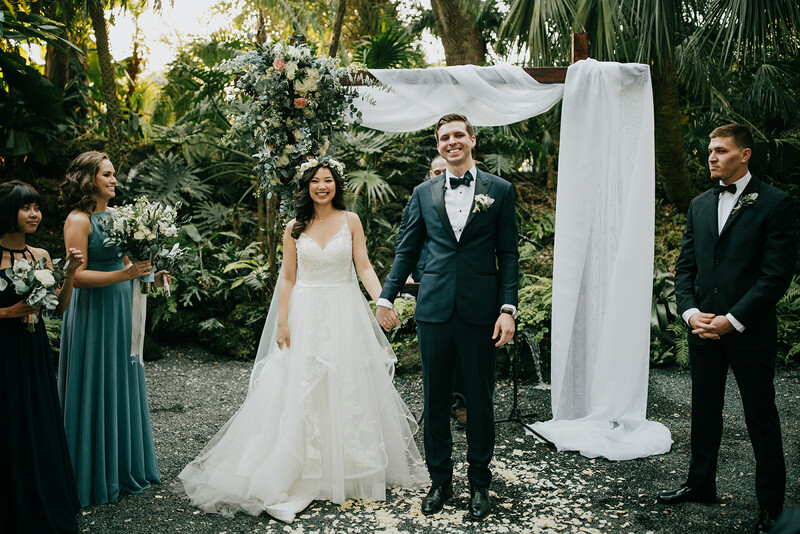 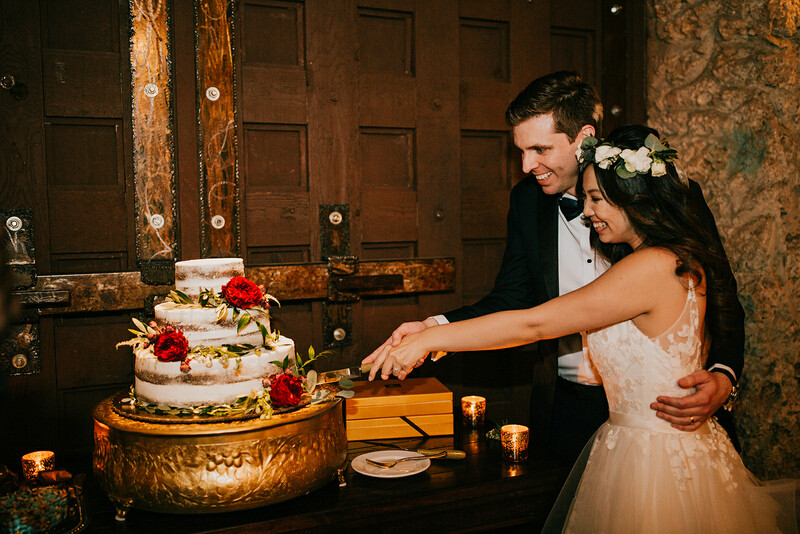 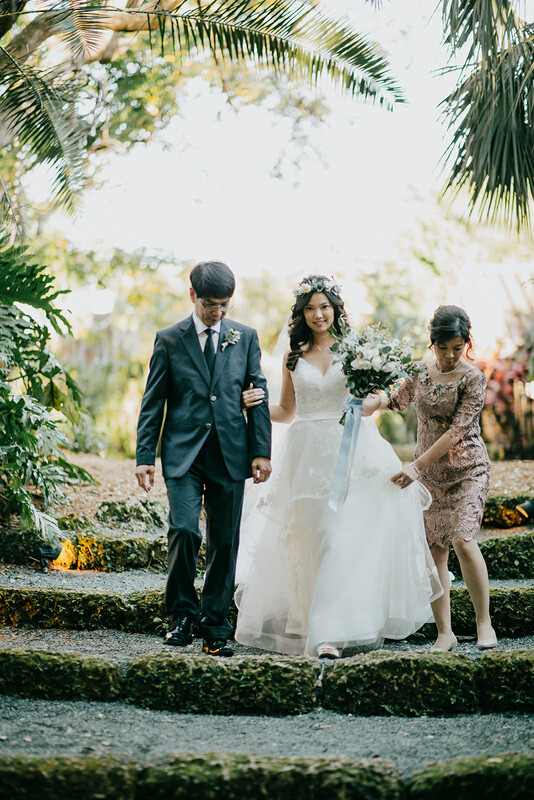 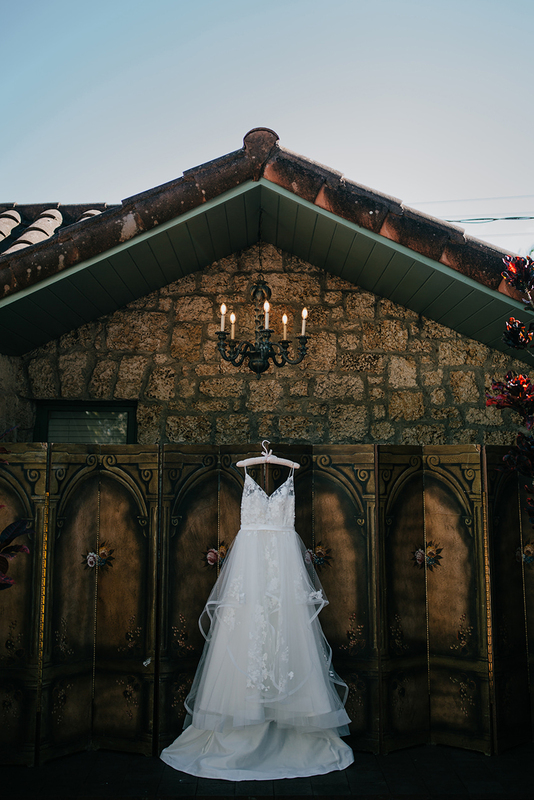 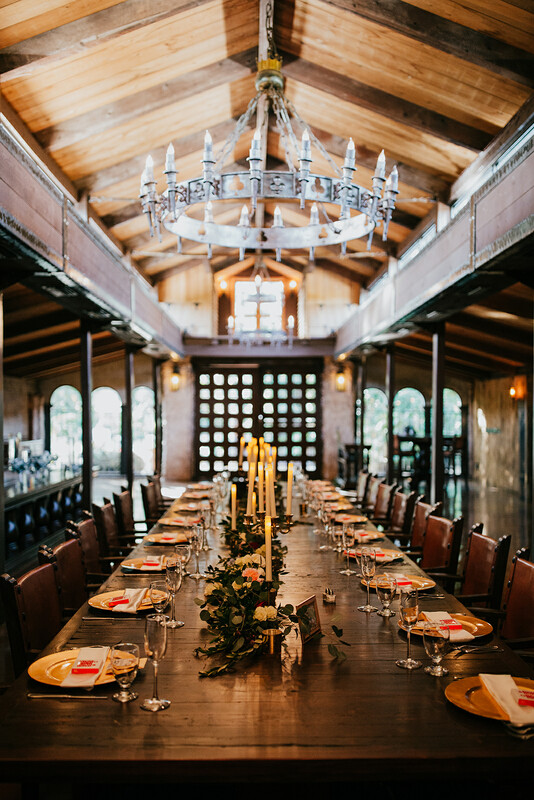 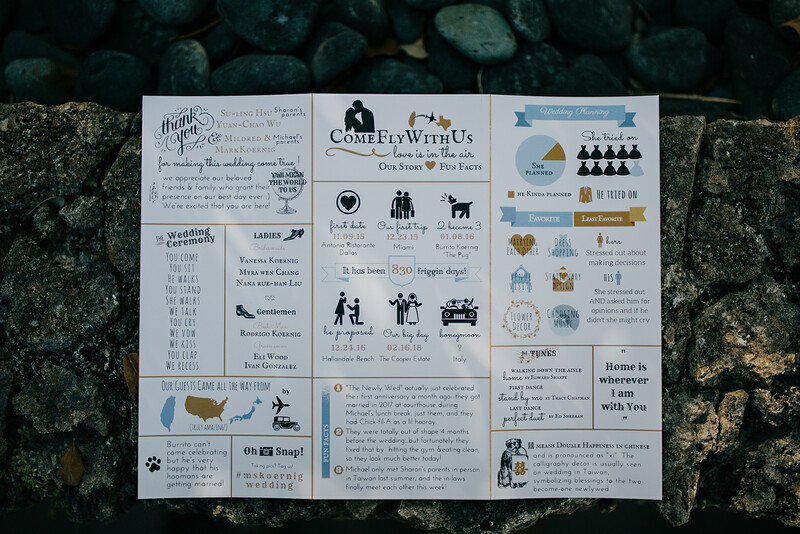 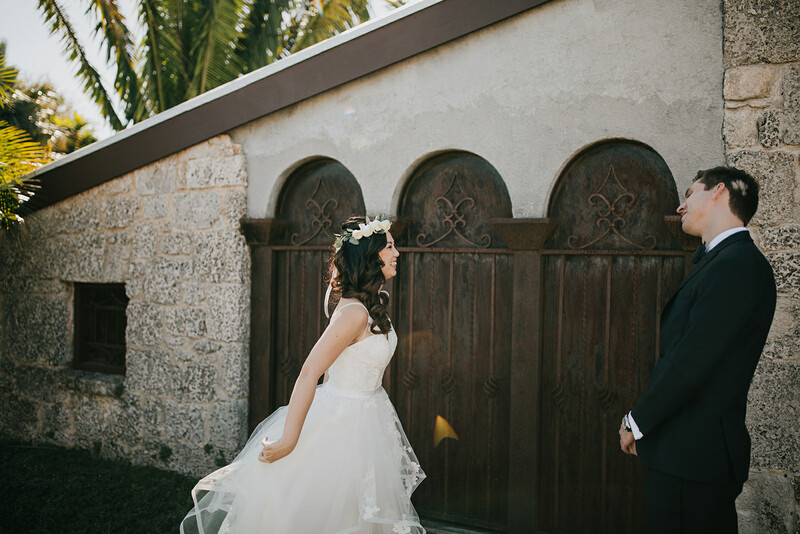 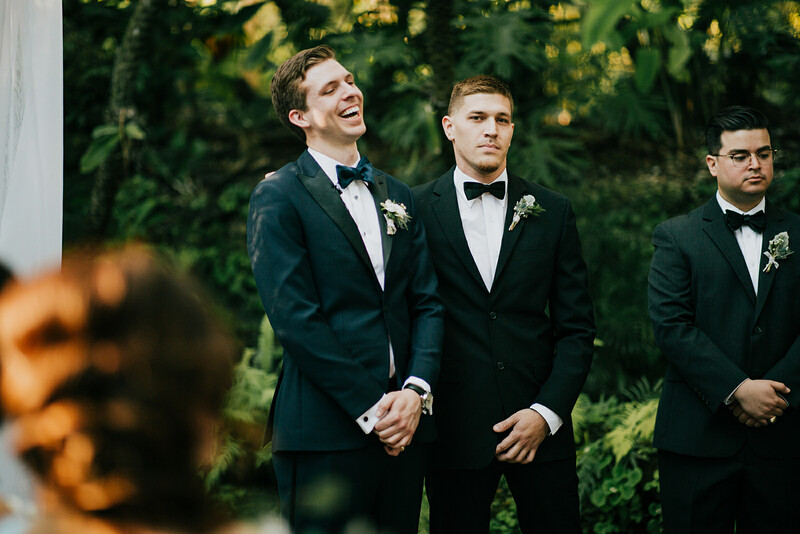 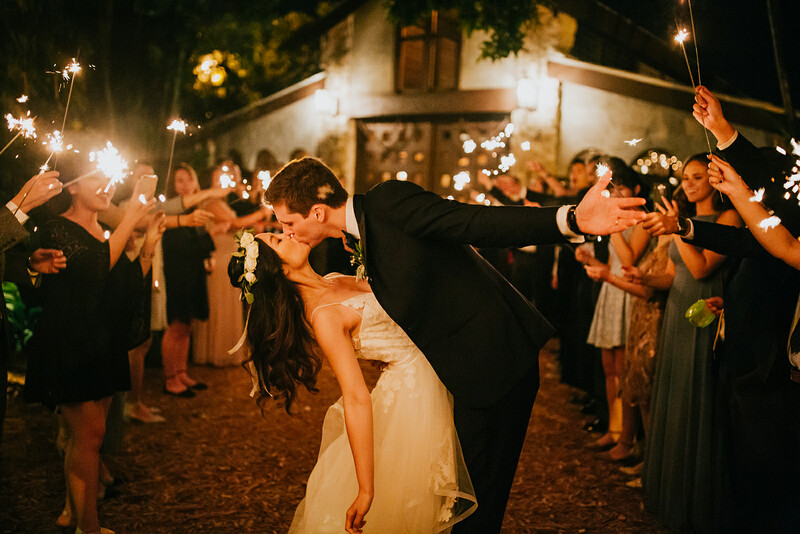 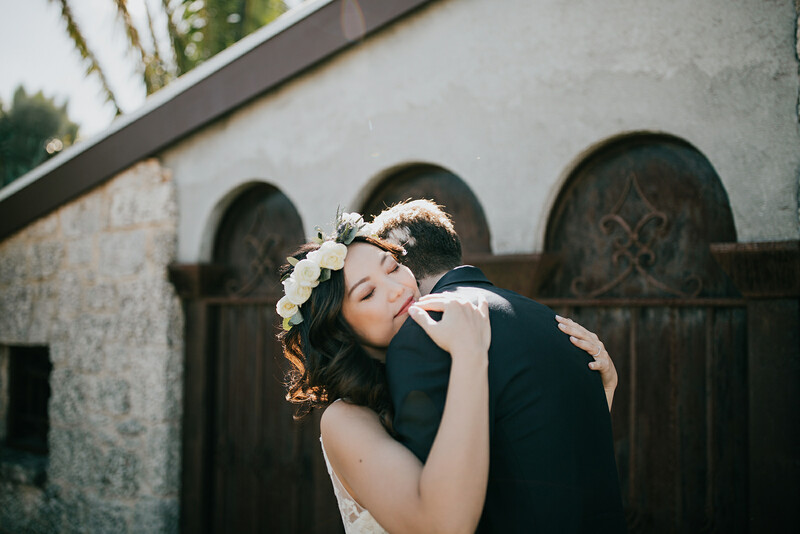 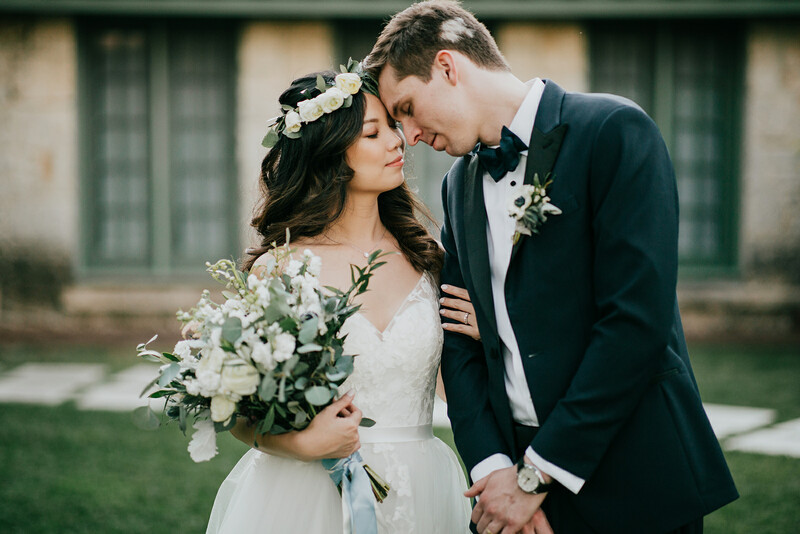 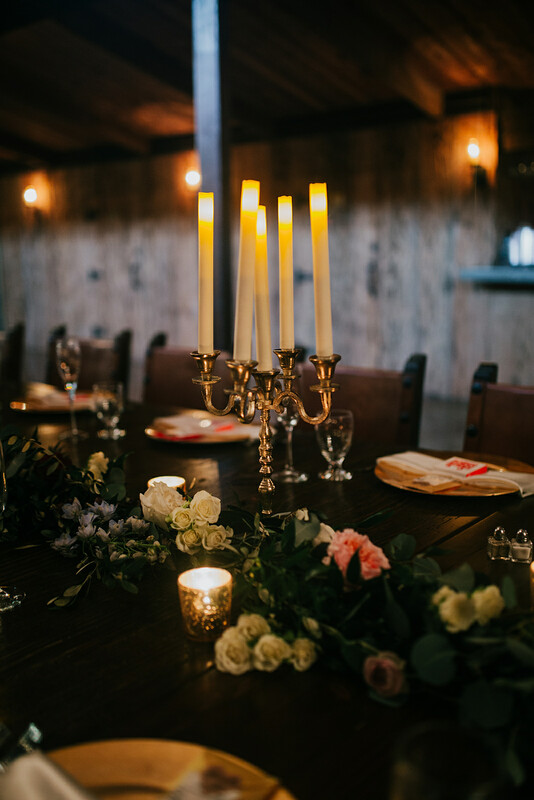 This heartfelt Florida celebration took place at a stunningly rustic historic estate, the perfect setting for these two lovebirds to tie the knot. 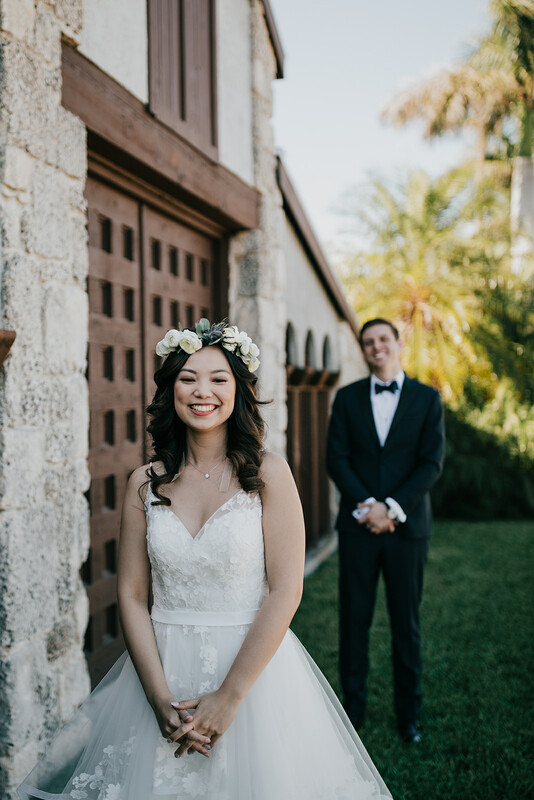 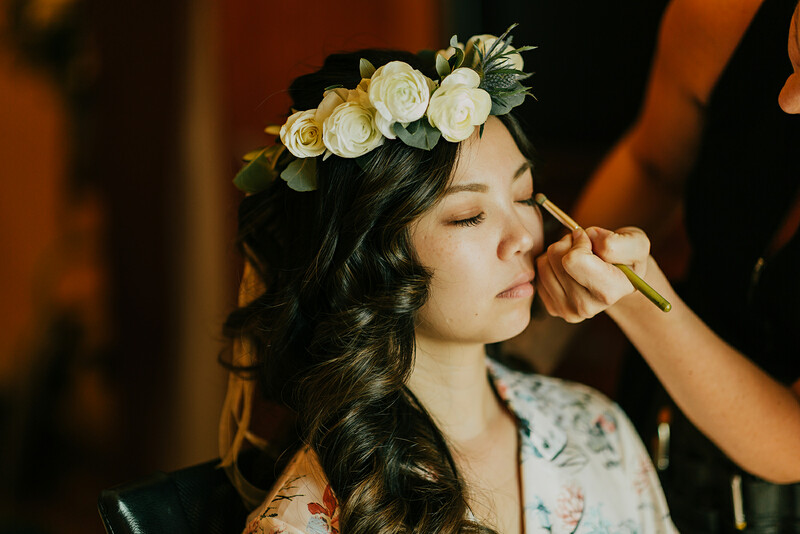 Flawlessly captured by Christopher Ramos Photos, this beautiful wedding is majorly inspiring us to take a tropical vacation! 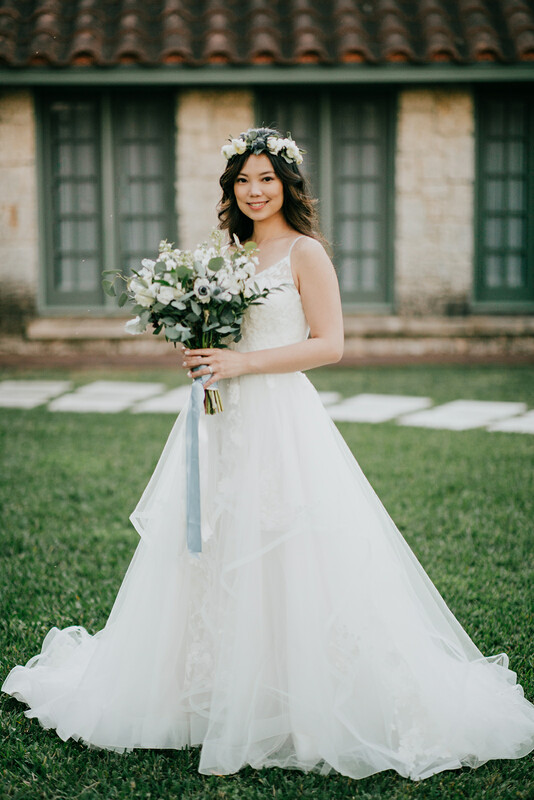 Beloved Bride Sharon had always envisioned herself in a slim-fitting dress. 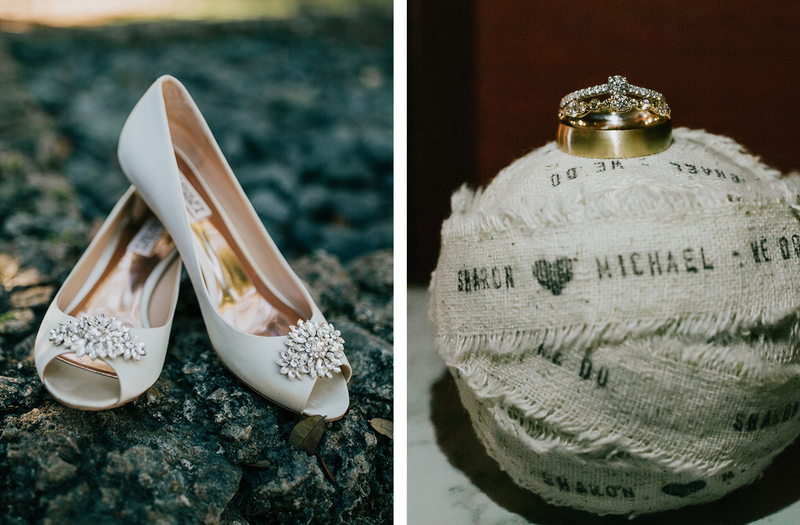 Her mind was utterly changed when she tried on Style BL219 Sweet. 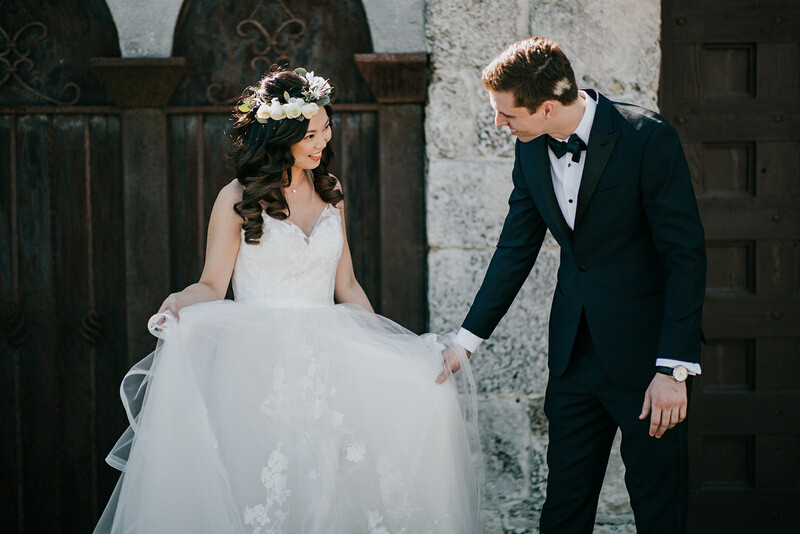 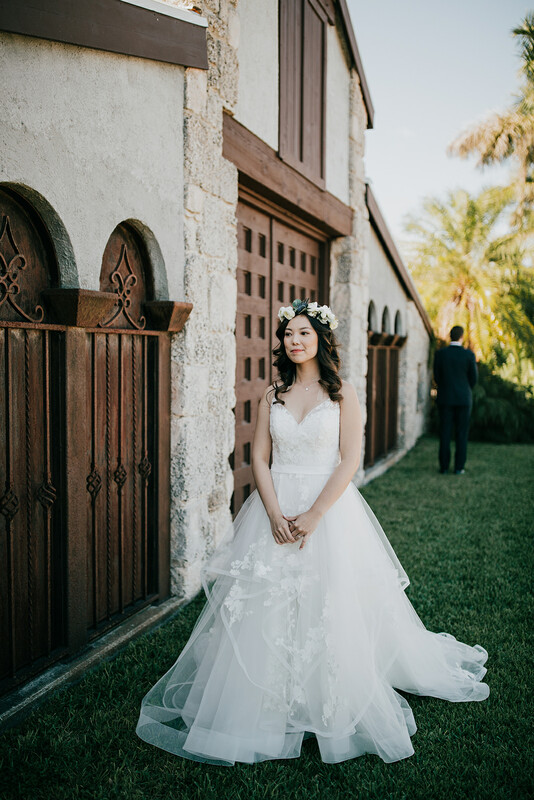 Seven dresses later, Sharon found herself twirling in flowing layers of tulle and floral lace appliques – a fairy tale come to life! 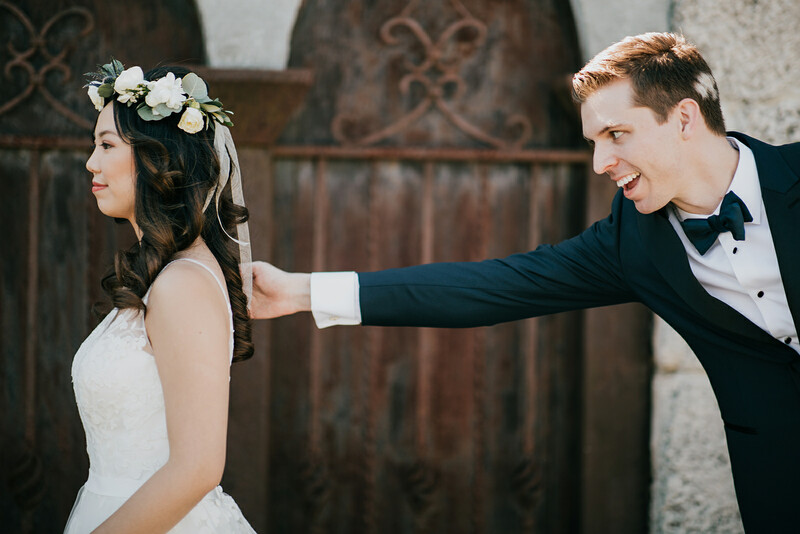 For Sharon and Michael, it was “love at first date.” The couple met one another for a blind date, and fell in love, never looking back since. 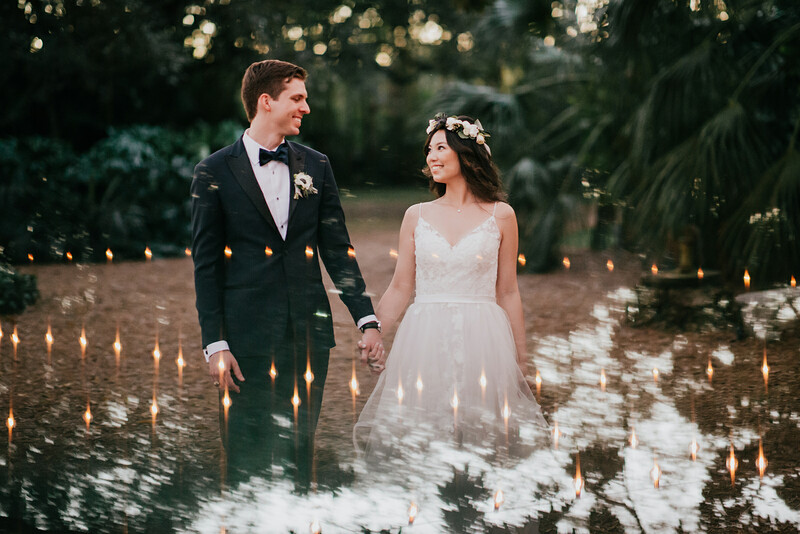 One romantic Christmas Eve on a beautiful beach in Miami, Michael finally asked Sharon to be his bride, his whole family there as witnesses. 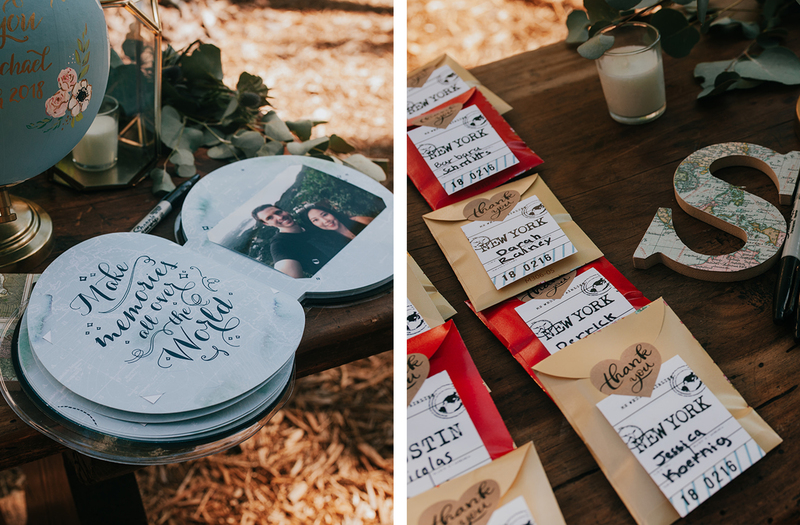 Almost immediately after the proposal, the two got hitched at a courthouse during Michael’s lunch break, celebrating afterward with Chick-fil-A! 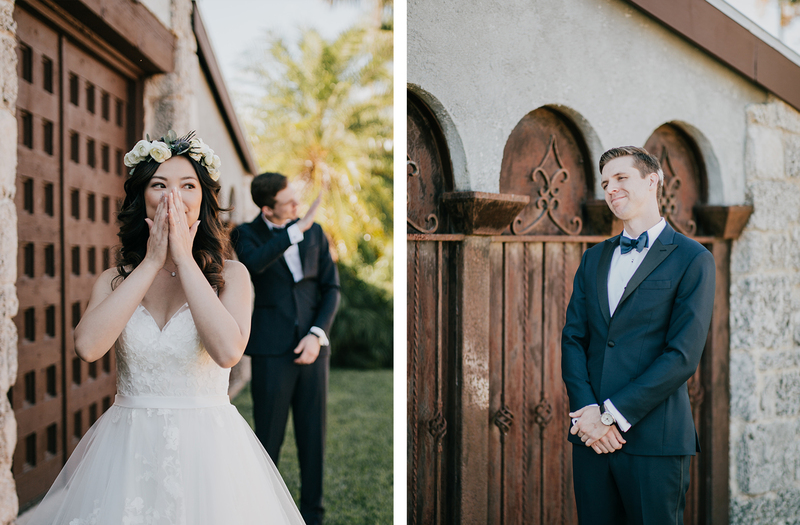 One year later, they had planned the wedding of their dreams for all their friends and family to join with them in celebrating their union. 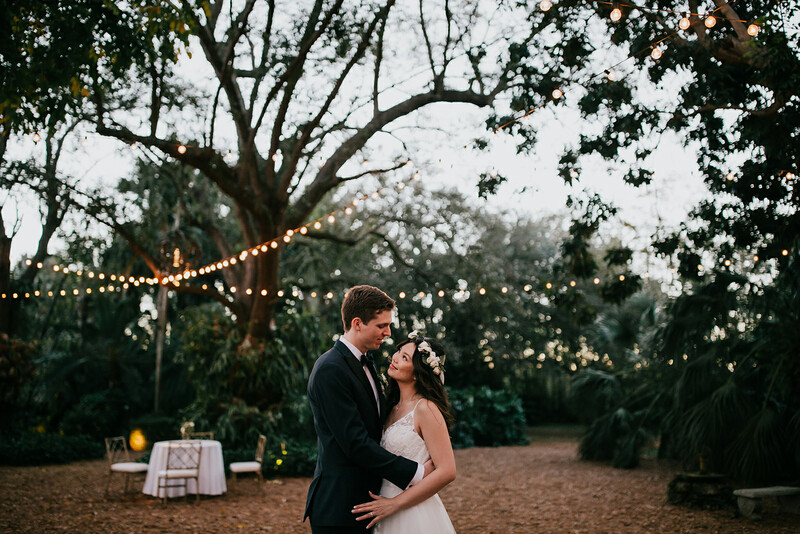 Love stories like Sharon and Michael’s are what make the world go 'round. 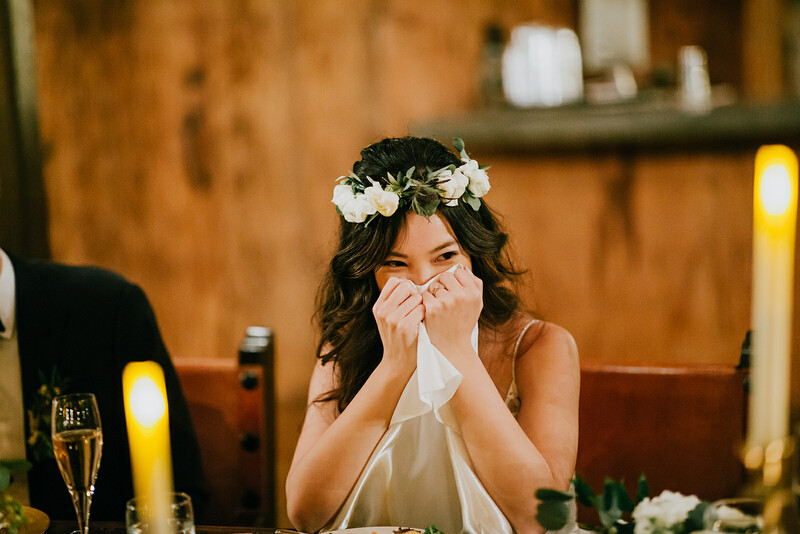 Loving this wedding's natural vintage vibes? 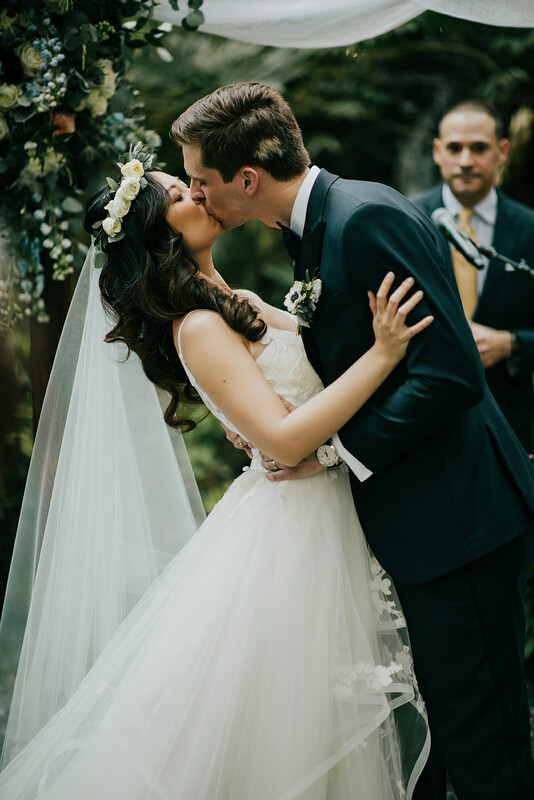 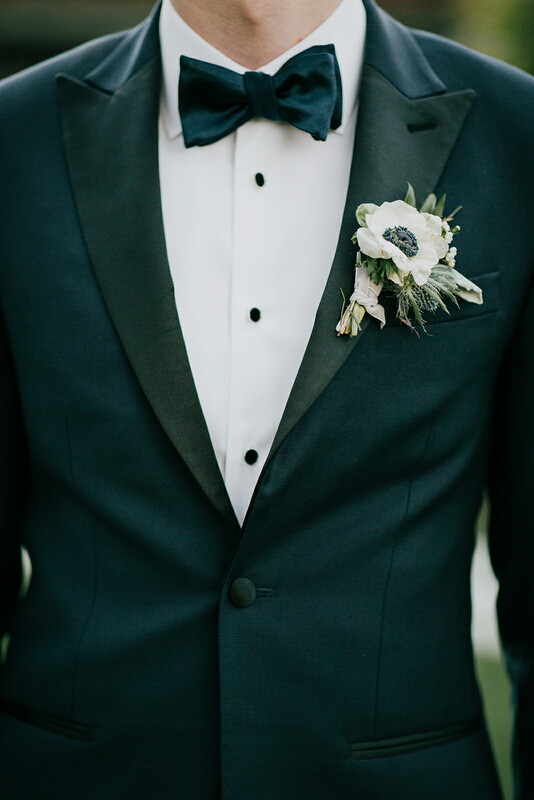 Head over to our Pinterest board for tons more wedding inspiration!